Brick has formally passed a bond ordinance which will allow the township to participate in a program to fund the demolition of abandoned and unsafe buildings. 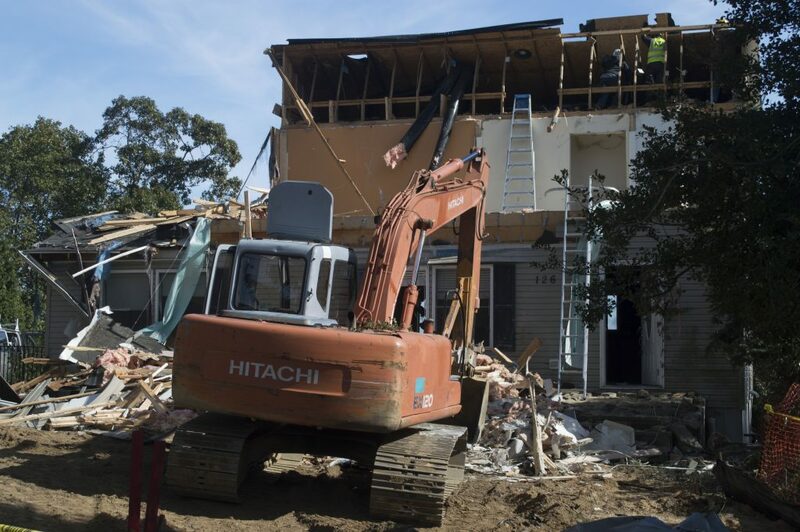 After completing its first demolition – on a home abandoned for more than seven years in the Beverly Beach neighborhood – in 2016, the township will receive $300,000 in zero-interest loans from the state to complete further demolition projects. After complaints from residents about derelict structures began to become more common, the administration of Mayor John Ducey formed a formal Property Maintenance Board, which hears cases and can order improvements or demolitions to properties. If the order receives approval from the municipal council, it can move forward. Brick, Ducey said, compiled a list of 162 structures that are considered abandoned, unsafe or dilapidated. “Our goal is to remove as many properties as possible from the registry,” Ducey said, whether that means demolition or other means of improvements being made to the sites at hand. Though demolitions have the potential to be expensive, especially given Brick’s waterfront nature and the prevailing wage requirements for public projects, Ducey said the township will place liens on the properties that are demolished, and taxpayers will eventually be made whole. “Eventually, when we sell off those properties, we are the first ones to get reimbursed,” Ducey said. The township is planning to be more serious than ever this year with property maintenance and code violations. A special prosecutor has been appointed to handle violations during a special court session that will be held the fourth Monday of each month. “We are really focusing on code enforcement issues around town,” said Township Administrator Joanne Bergin. At Tuesday night’s council reorganization meeting, new members were appointed to the Property Maintenance Board. George Cevasco, George Scott, Joseph Gilsenan, James Hogan and Sandra Thomas will be the five voting members of the board during 2017. Bergin and Stephen Brill will serve as alternate members.